We've decided to ignore the colder-than-cold weather sweeping in and instead focus on these delightful pink hues. From creamy florals to dreamy tablescapes, Insta has our back this week! Here’s to gathering around the table more in 2018! Correction: Here’s to getting a table in 2018! — For the past 2.5 years that we have been apartment living, we have gone without a dining table. There’s just not enough space!! But we’re hoping that will change before too long, as we are house hunting!! (In between Ricky’s military absences, of course. ) — House requirements: 1. Large windows 2. Open kitchen 3. Space for a dining table — We’ve been dreaming of hosting friends and family for meals since we first got married, and hopefully we will have the space for that soon!! Because I’ve been mentally planning a Friendsgiving Dinner, the perfect New Year’s Eve party, and an ALW Couple’s Gathering for the last 2 years! — Anyone else dream of hosting meals all the time?? Or is it just me...? A Wedding DIY at its finest. It's safe to say that 2018 was a wonderful year for weddings! We loved watching love blossom on Instagram and celebrated right alongside our brides and grooms. 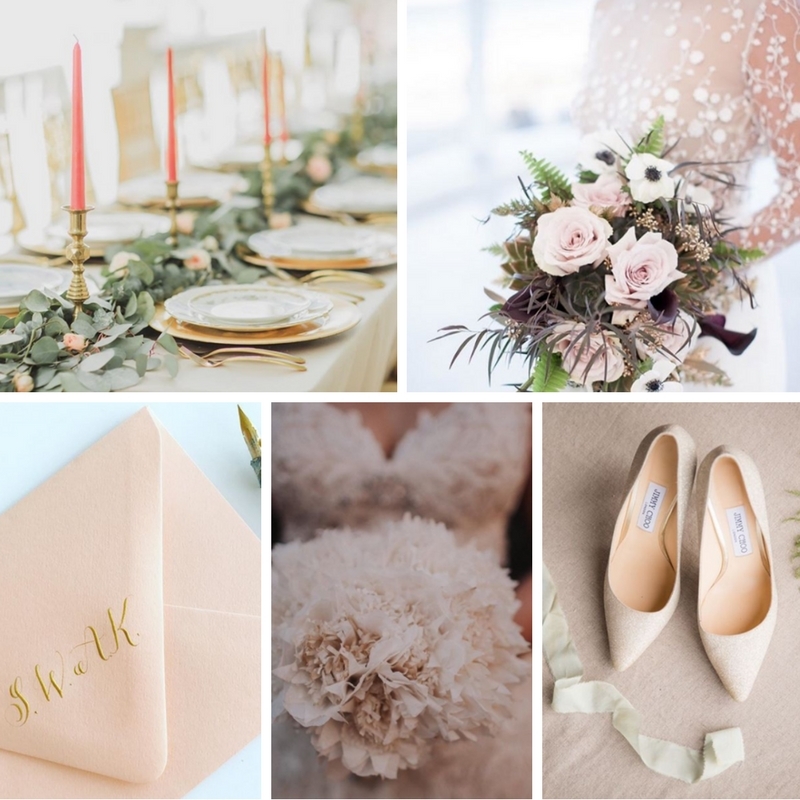 Instagram is full of warm reds, laughter and the sweetest holiday wedding touches this week. This time of year brings all the merry feelings and we know you'll feel them too as you scroll through these photos. In the midst of the cold, we're dreaming about long walks on the beach in the warm, fresh air. Instagram captured couples having a romantic moment in the outdoors this week and we're showcasing our favorites! These crisp whites and bright winter greens are some of our favorite hues of the season. Instagram is all about sparkling diamonds and twinkling trees this week - and so are we!